Marriage does not define companionship, human relation does. 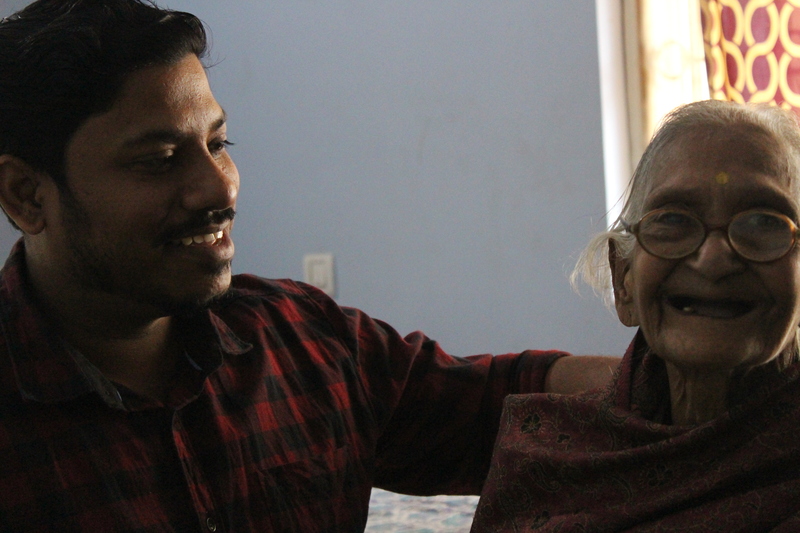 The old people in the Ashram shared their stories with us. The real life experience of these people made us all very emotional. Loneliness and depression are dangerous than cancer.Everyone has a right to stay happy and lead a zestful life. Our contribution can never address their anguish, but we will certainly try to bring an ounce of faith in their mind that they are not alone. We spend couple of hours there, discussed on the issues they faced in life, heard them and empathized with them. Later, we conducted few fun activities to change the overall mood. It was so great to see their uplifted spirits and happiness that we all shared. Being always busy in our work, we often get ignorant about our responsibilities towards the society we live in. And senior citizens are an inseparable part of it. We are happy to bring a smile on the elderly people’s faces who have been dealing with the socio-economical challenges on their own. As a mark of goodwill & respect towards Shree Krishna Anand Old age home, Muvi extended support to bear the grocery cost of the organization for a month. Apart from daily rations, fruits, health supplements, nutritional drinks like Bournvita, Horlicks etc. were distributed among the residents during the event.